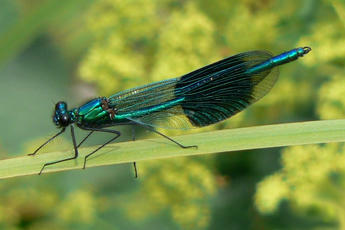 A spectacular damselfly. 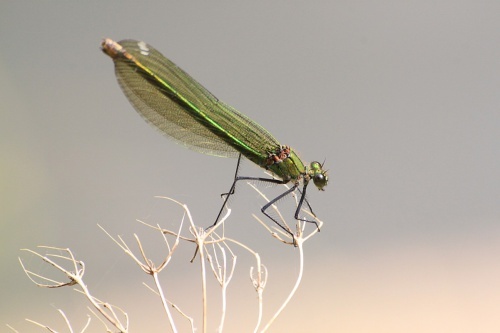 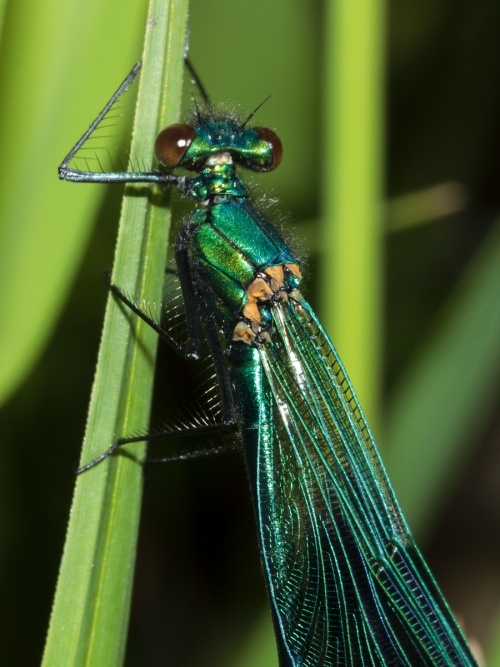 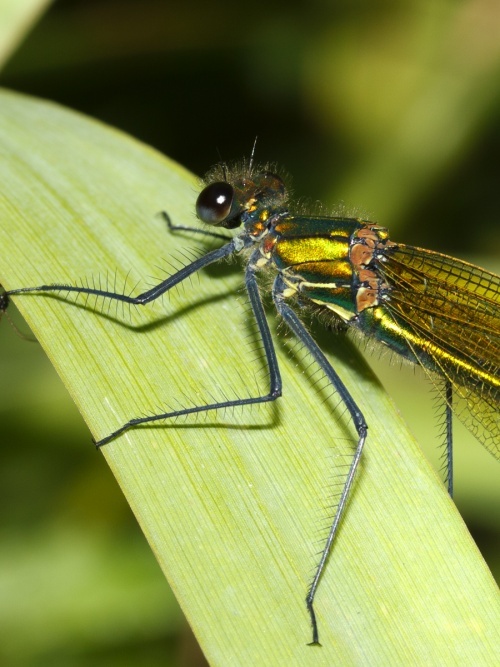 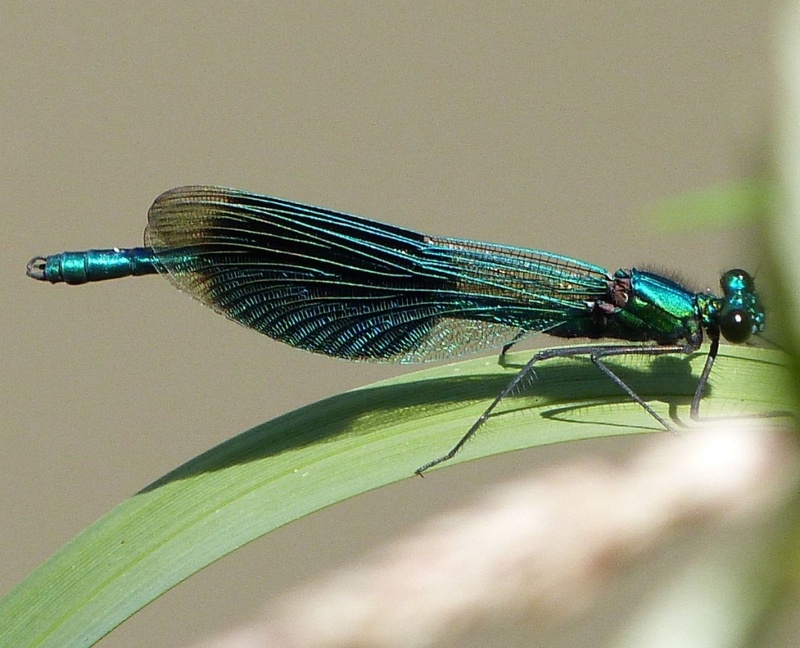 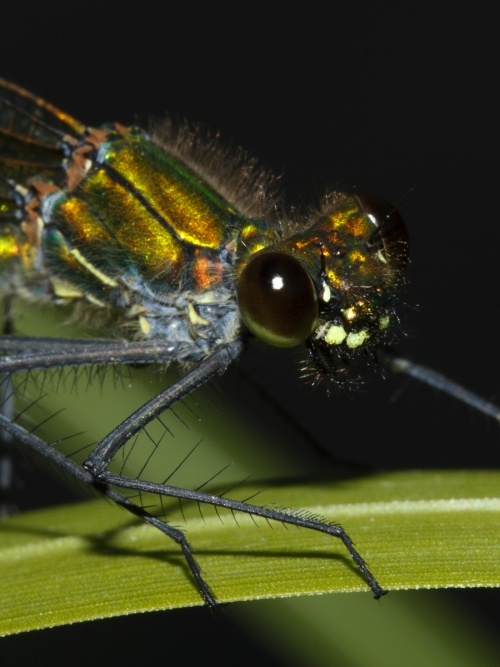 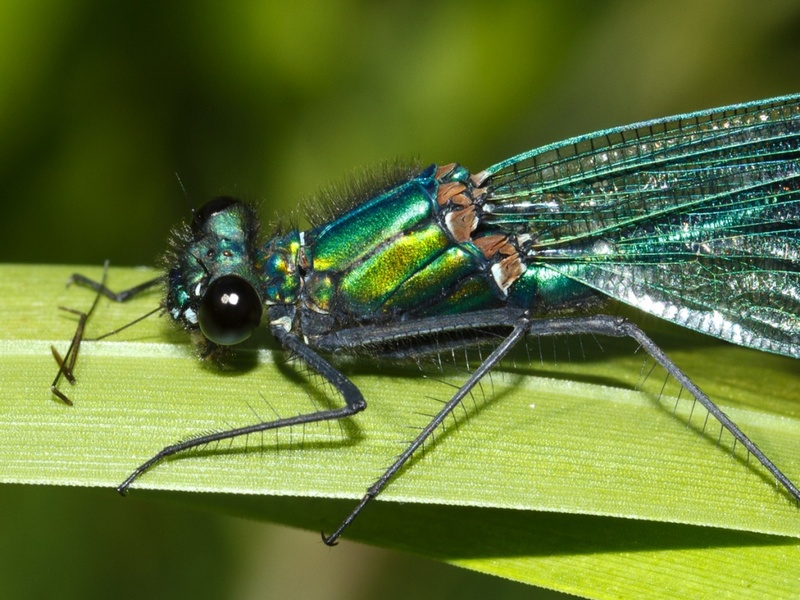 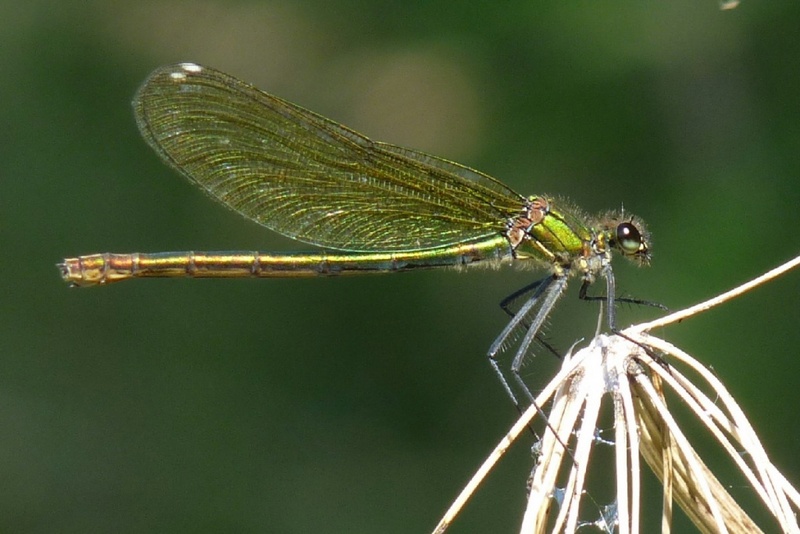 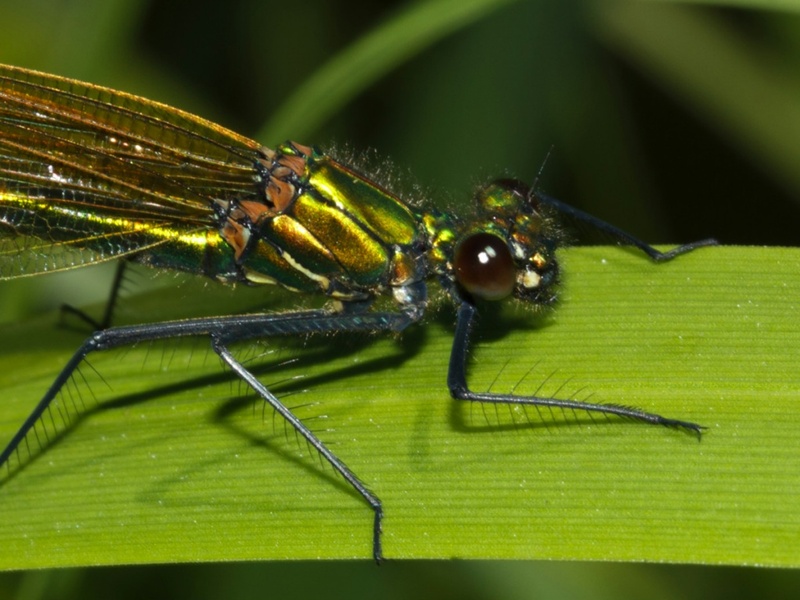 The male is most easily distinguished from the similar Beautiful Demoiselle by having a wing band that is around half the wing's total length, the female however does not have this band, but has a yellowish-green tint to the wings. 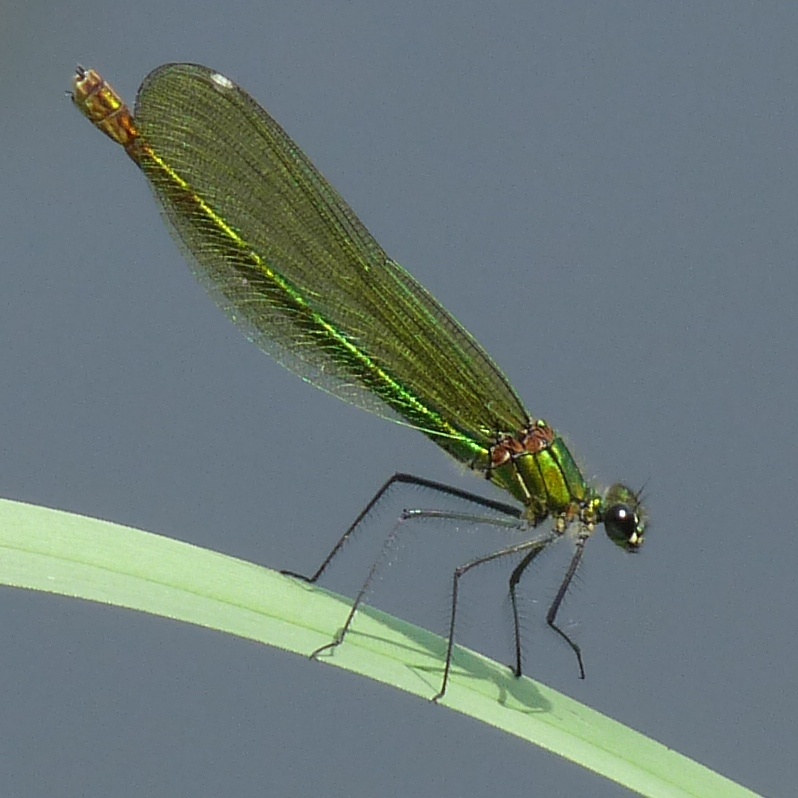 Found flitting around emergent vegetation of slow running streams, rivers and canals with muddy bottoms. 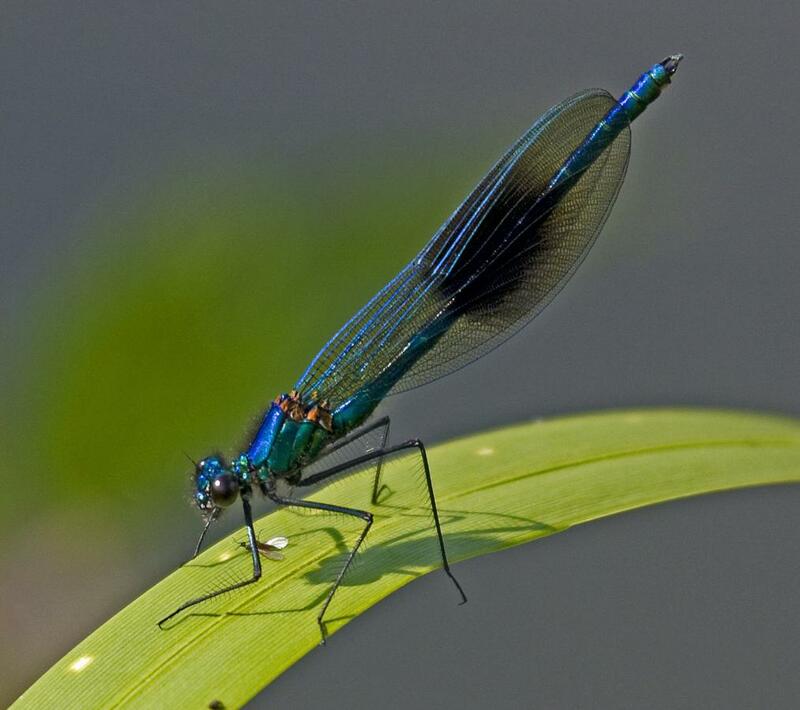 It is very sensitive to pollution so a good indicator of clean water. Common in England except in the far north, and fairly common in Wales. It is much scarcer in Scotland. 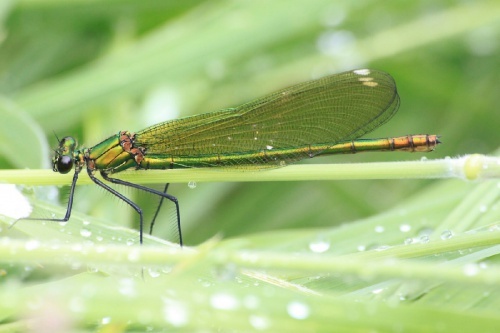 This species is widely distributed throughout Leicestershire and Rutland. It is found along all of the main rivers and streams, and on all canals. This species is widely distributed throughout VC 55 and is found along all of the main rivers and streams, and on all canals. 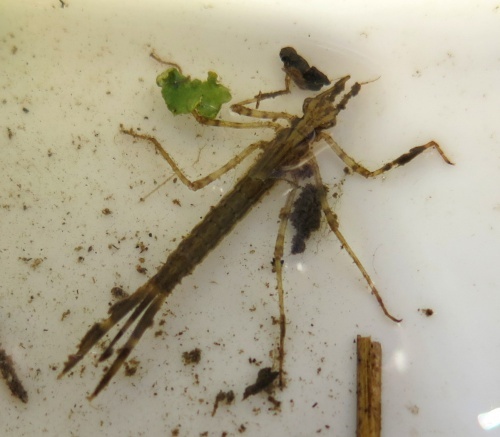 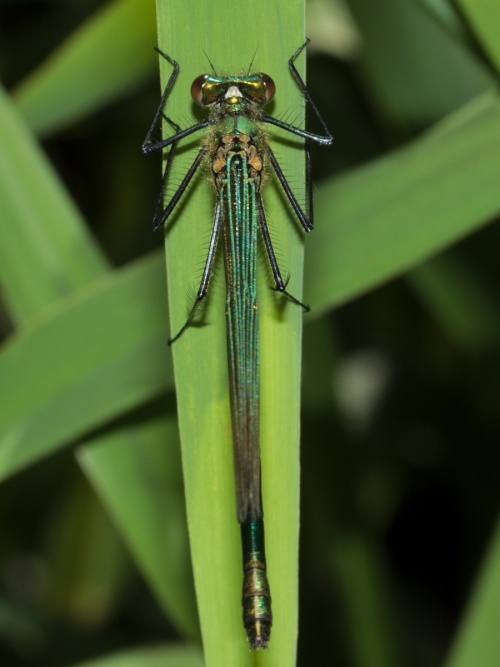 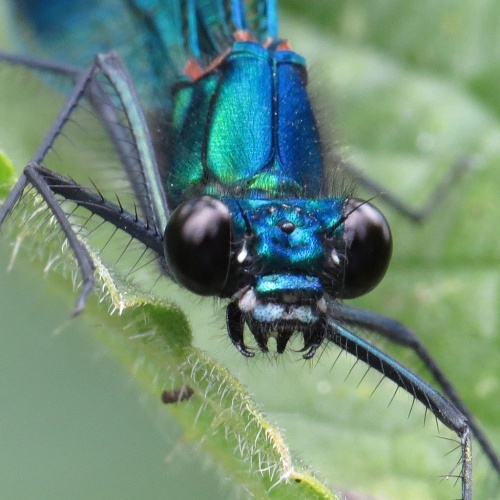 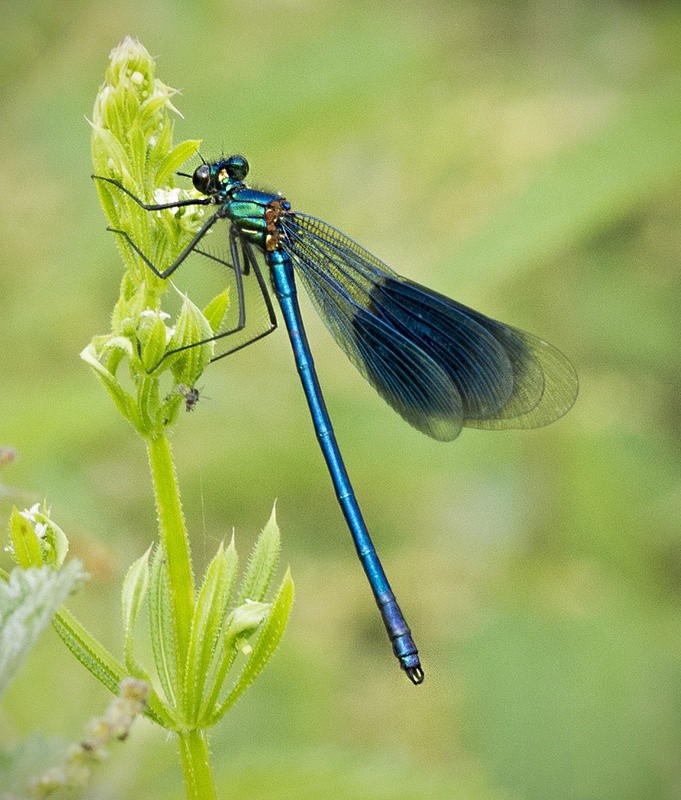 Records indicate that it has always been a common damselfly in VC 55. 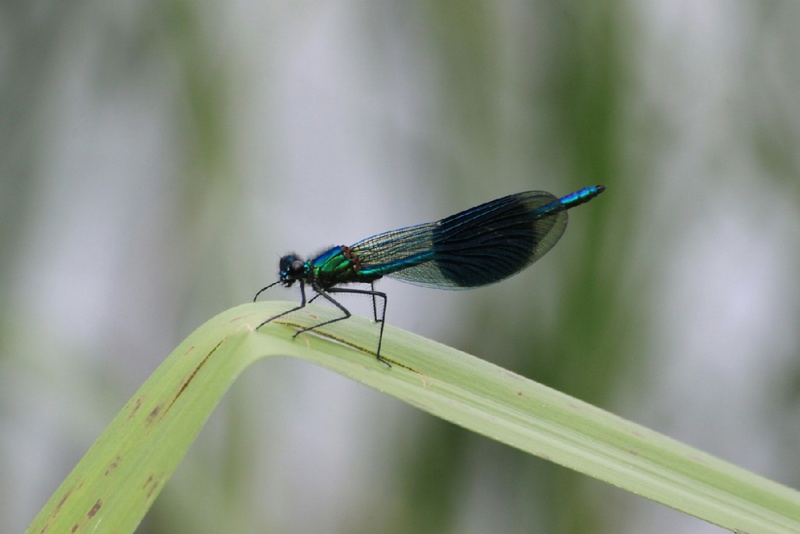 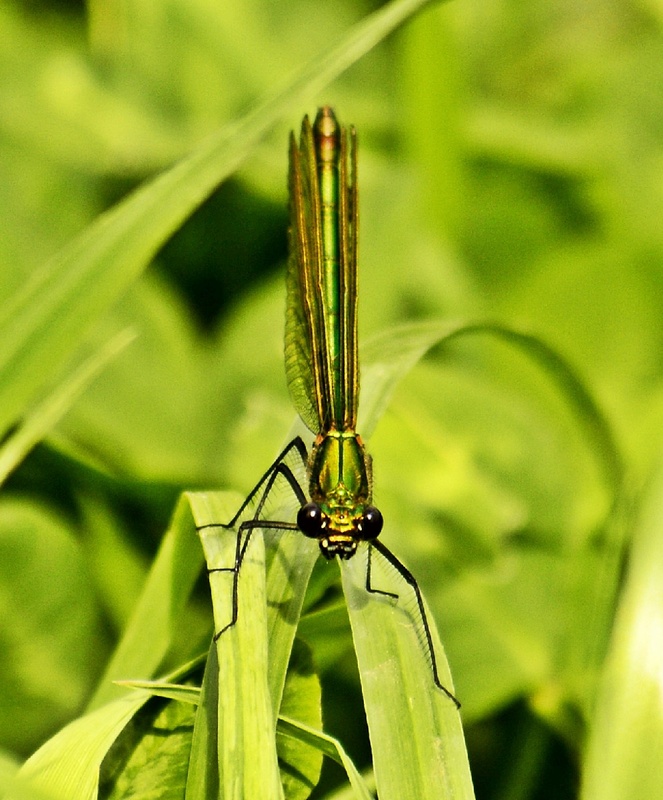 The Banded Demoiselle favours slow flowing rivers and streams with muddy bottoms.